Situated in the heard of the old town. Looking through Holy Hagia Sophia and close by all prominent sites as Blue Mosque, Topkapi Palace, Basilica Cistern. All rooms decorated with Turkish Rugs & wooden floors. Ottoman Hotel Imperial has well-known Matbah restaurant which offers traditional ottoman cousine that guests may choose to dine at terrace while overlooking Sultanahmet area.Promises with the service as complimentary; Library with Turkish History and Istanbul books, valet parking, private parking area, wireless internet, 24 hours room service, laundry, exchange money, welcome drink, baggage room. 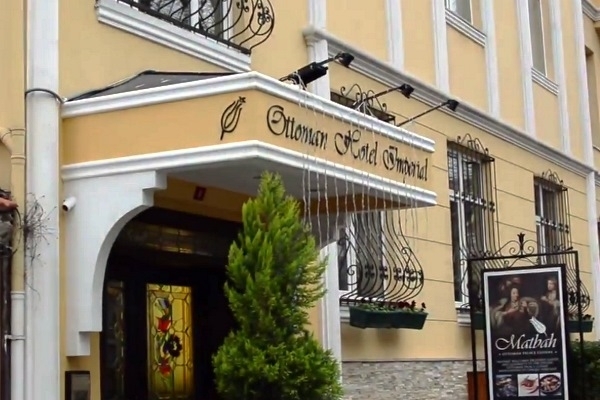 Ottoman Hotel Imperial serves quests with unique 49 rooms and best professional staff. How far and How long will it take from/to the Ottoman Hotel Imperial Istanbul from/to International Airports and cruise Ports. How to get from cruise ports to the city? How to get from Sabiha Gokcen Airport to the city? Sultanahmet Transfer What time should I leave my hotel to catch a flight in Sabiha airport? Istanbul Airport Shuttle How to meet at Ataturk airport Istanbul Airport Transfer How to meet at Sabiha Airport Ataturk Airport-Lost and Found How to get from Ataturk airport to the city?